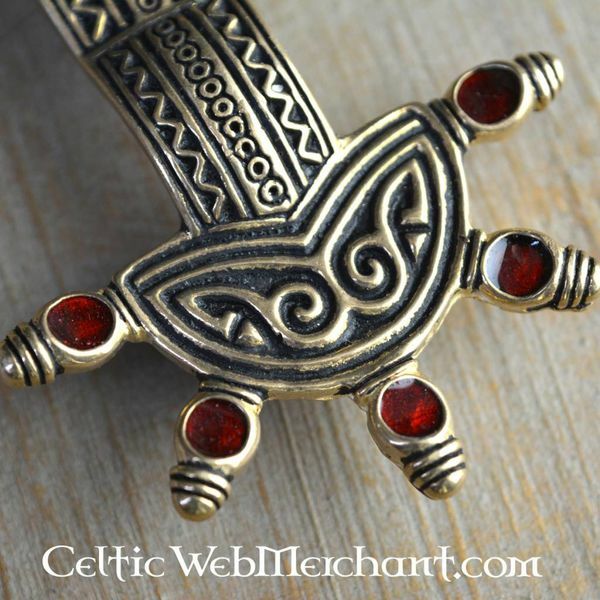 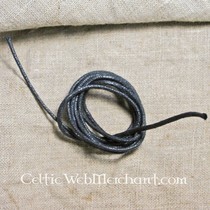 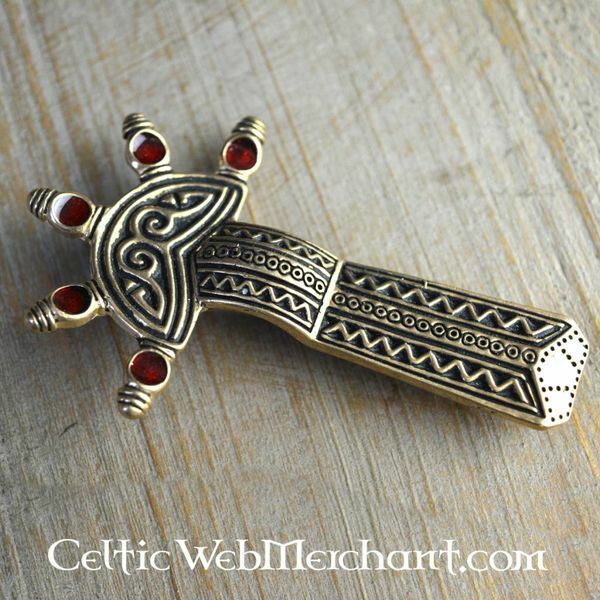 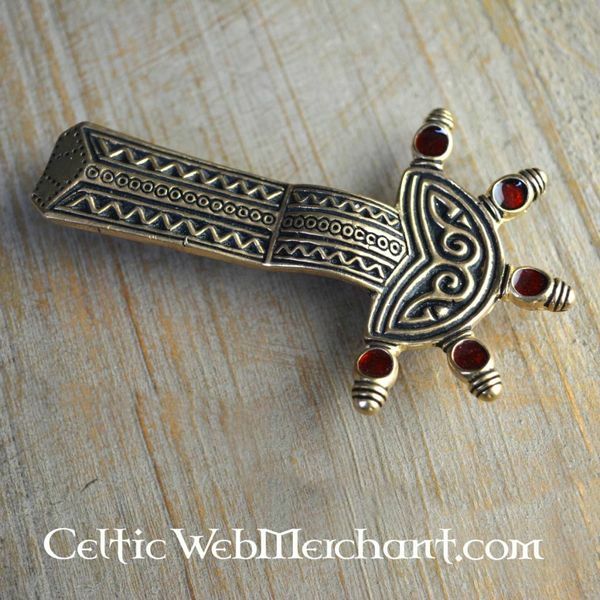 This bow fibula is a replica of a Merovingian original, found in a woman's grave from the 5th-6th century. 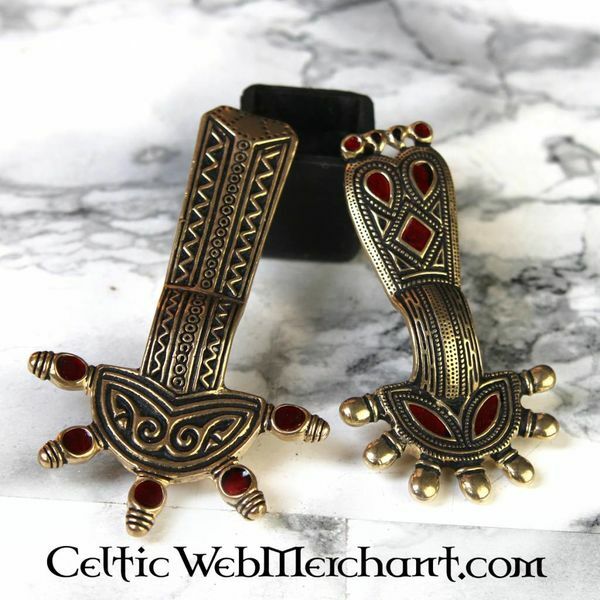 Similar bow fibulae were worn mostly by the West-Germanic peoples, such as the Franks, Merovingians, Alamans and Tungrii. 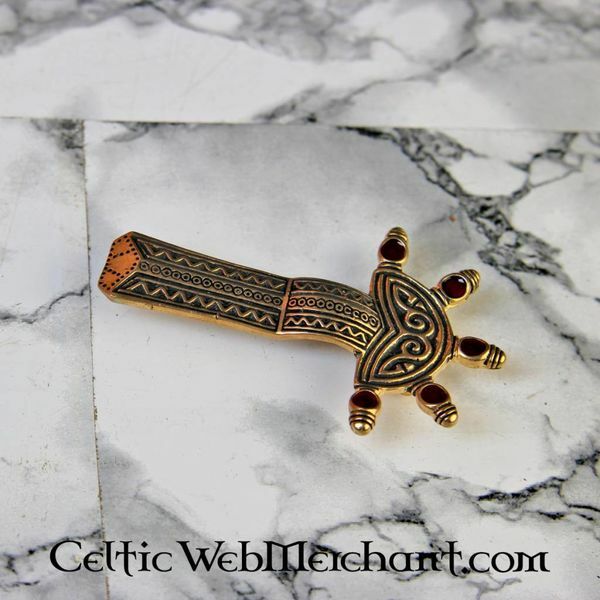 But examples have also been found in Anglo-Saxon and Lombardic graves. 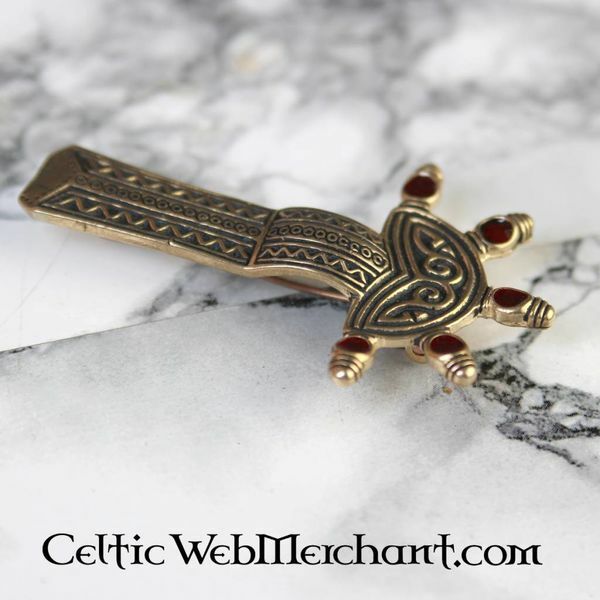 This bow fibula is decorated with red enamel.